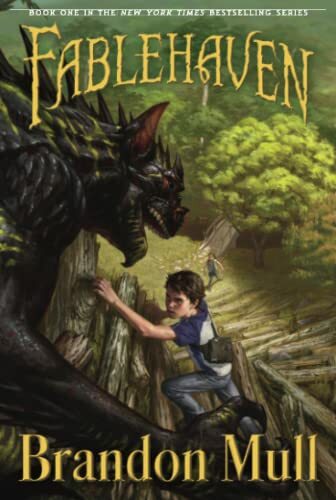 Unaware that their grandfather is the current caretaker of Fablehaven, Kendra and her brother, Seth, venture into this magical land filled with dangerous and plotting witches, imps, and fairies and learn quickly about the evil forces that are unleashed when rules are broken. Brandon Mull no longer lives on the side of a mountain above a prison. He now resides in a happy little valley near the mouth of a canyon with his wife and three children. Since the arrival of his new daughter, he is more the golem of the household than ever, following whatever orders trickle down the chain of command.